Infants conceived through assisted reproductive technology (ART) had an increased risk of several serious birth defects compared with those conceived by spontaneous pregnancy, researchers found. Overall, there was a higher prevalence of nonchromosomal birth defects (59.57 per 10,000) in ART infants compared with non-ART infants (48.40 per 10,000, P<0.001), reported Sheree L. Boulet, DrPH, of the CDC in Atlanta, and colleagues from their analysis of birth certificate data in three U.S. states. Even after adjusting for maternal characteristics and year of birth, the use of assisted reproductive technology was associated with a 28% higher risk of nonchromosomal birth defects, they wrote in JAMA Pediatrics. Specifically, assisted reproductive technology was linked to a statistically significant increased risk of reduction deformity of the lower limbs (aRR 2.18, P=0.007), rectal and large intestinal atresia/stenosis (aRR 2.03, P<0.001), and tracheoesophageal fistula/esophageal atresia (aRR 1.93, P=0.001) compared with spontaneous conception. Boulet and colleagues noted that while assisted reproductive technology is generally considered safe, other registry-based cohort studies, as well as meta-analyses from non-U.S. populations, have found an increased risk of birth defects compared with spontaneously conceived infants. "Because both ART and birth defects are infrequent events, sufficiently powered studies are needed to evaluate associations, particularly with regard to specific ART procedures," they wrote. "To our knowledge, this is the largest U.S. study of birth defects and ART to date." Maternal age seemed to play a significant role in the risk for chromosomal defects including trisomy 13, trisomy 21 (Down syndrome), and trisomy 18, with older age associated with lower risk with ART. Among mothers 35 and older, there was a reduced risk for having one or more chromosomal defects (aRR 0.61, P<0.001) and for Down syndrome (aRR 0.63, P=0.001) for ART infants compared to non-ART infants. For mothers less than 35 years of age, there was an increased risk of Down syndrome with ART (aRR 1.63) in the raw data, but the association was not statistically significant after adjusting for multiple confounders (P=0.18). The authors said that older mothers may have had preimplantation genetic screening, primarily for aneuploidy, which would explain the reduced risk of Down syndrome for ART infants. They then speculated on potential reasons for the "unknown" association between Down syndrome and ART in younger mothers. "It is possible that younger women with an ART-conceived pregnancy were less willing to undergo chorionic villue sampling or amniocentesis because of heightened concerns about risks to the fetus," wrote Boulet and colleagues. "Another potential explanation is that young women undergoing ART have more serious underlying health issues than older women and thus have poorer-quality embryos." When examining only ART infants conceived via fresh embryo transfer, the authors did find a marginal association between a diagnosis of ovulation disorder and nonchromosomal defects (aRR 1.53, P=0.05). However, there was no significant difference between overall ART births conceived via fresh versus frozen embryo transfer. Boulet's team examined ART surveillance data, birth certificates, and birth defects registry data for Florida, Massachusetts, and Michigan. Of the 4,618,076 liveborn infants, 64,861 (1.4%) were conceived via assisted reproductive technology. Infants conceived with ART had higher frequencies of multiple births, birth weights of <2,500 g and <1,500 g, and gestational ages of <37 weeks and <32 weeks. Mothers of ART infants were more likely to be older than 30 years, non-Hispanic white, college graduates, nulliparous, and less likely to use tobacco during pregnancy. They were also more likely to have diabetes and hypertension. 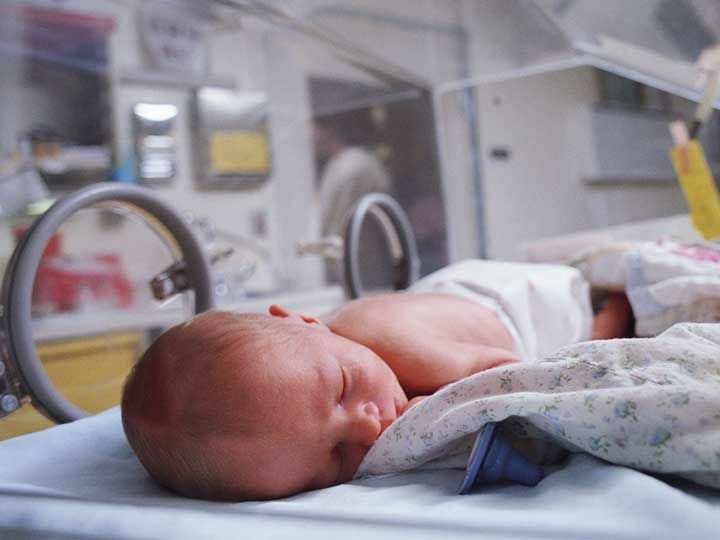 Limitations to the study included the lack of information on birth defects among fetal deaths or pregnancy terminations, so the prevalence of birth defects may be underestimated. In addition, methods for determining birth defects varied across states. The authors also cited the fact that ART infants may be monitored more closely than non-ART infants, which may result in increased detection of birth defects.Limitations to the study included the lack of information on birth defects among fetal deaths or pregnancy terminations, so the prevalence of birth defects may be underestimated. In addition, methods for determining birth defects varied across states. The authors also cited the fact that ART infants may be monitored more closely than non-ART infants, which may result in increased detection of birth defects. "As use of ART continues to increase, careful evaluation of the longterm outcomes of children conceived using these technologies becomes increasingly important," Boulet and colleagues wrote. "Additional studies on specific ART procedures are needed."